Every successful civilization has relied heavily upon its intellectual class to solve seemingly unsolvable problems. The intellectual class provided the solutions to problems in irrigation systems, transportation networks, military weapons, military strategy, logistics, diplomacy, propulsion, energy creation, medical cures, etc. Over time, such problems have increased in difficulty. Compare the difficulty of inventing a rudder for a ship vs a quantum communications satellite. The later is vastly more challenging. The later requires teams of geniuses who have spent years studying something esoteric and often, theoretical. Continued success into the future requires more intelligence, not less. 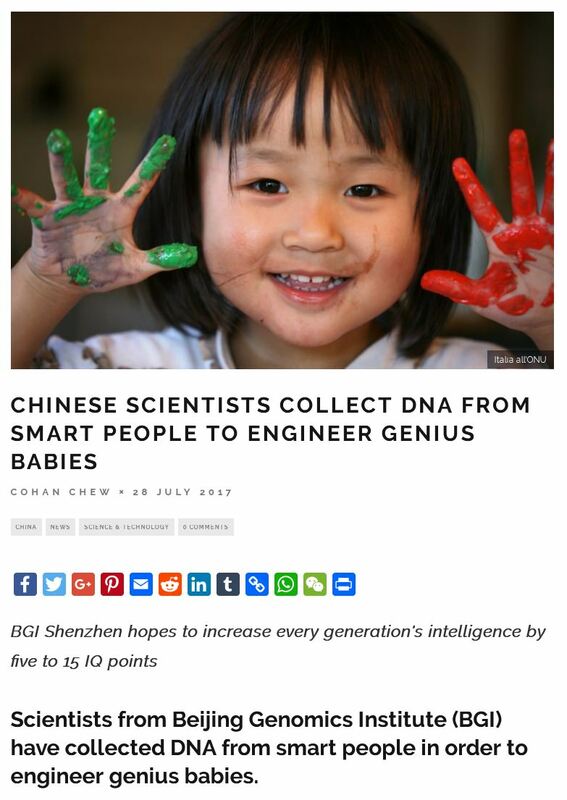 That is what makes this ambitious Chinese effort to increase IQ by up to one standard deviation per generation so significant. An army of super high IQ Chinese is a super weapon. Crucially, this is NOT genetic engineering. This is simply picking out the most “successful” offspring. Stated differently, couples can get multiple baby lottery tickets to increase the odds of getting a “winner”. I was in the eighth grade when I first encountered a self-hating Asian. The person in question was a 1.5th generation Korean girl and one of the few other Asian students in my nearly all-white Canadian high school. Being (heterosexual) teenaged girls, we naturally spent a lot of our time together discussing cute boys. I can still remember her reaction when I mentioned that my long-time crush was the boy who sat in front of me during my after-school Chinese classes. 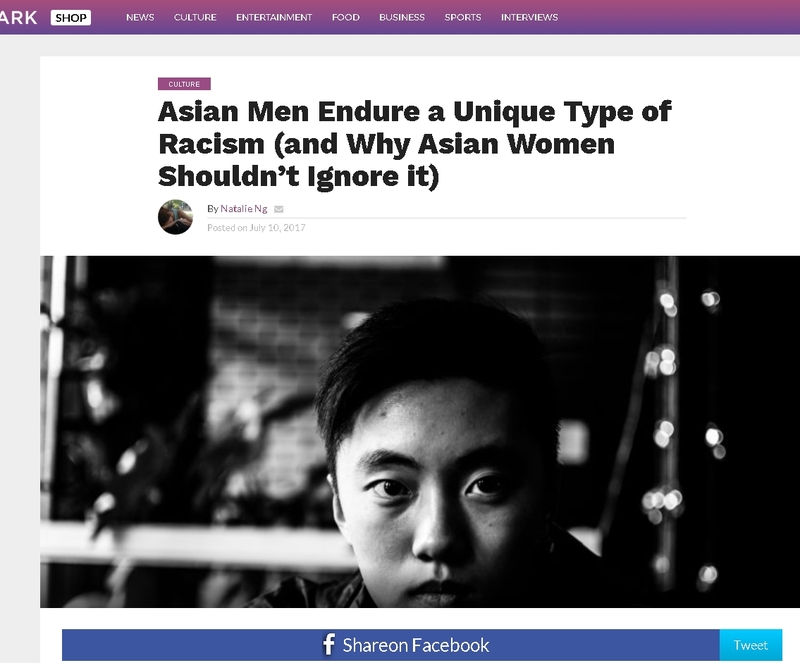 It’s interesting that such view points have been widely known and accepted by the MALE side of the Asian community, which was dismissed, ignored, downplayed by racist white males and self-hating/white worshiping Asian women for decades. Interestingly, the same views hold credibility when espoused by Asian FEMALES. Hapas (half white and half Asian children, typically from racist self hating Asian women and racist bottom tier white men) have also gone full force exposing the hidden truth about these so-called “progressive relationships” on rHapas on reddit, halfasian.org, longingfordeath and other sites. For years their detractors also tried to downplay their suffering as “isolated incidents”. 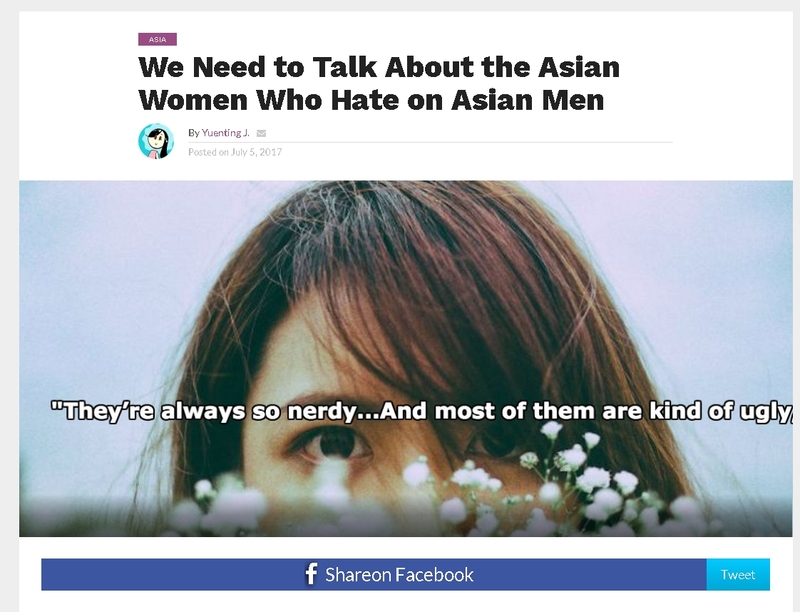 With more and more normal [not self hating/white worshiping] Asian women speaking up, it will encourage others to do the same. This beast article was written by none other than The Empress of War. Numerous Asian news outlets have picked it up. While we wish for it to be a thing in the past, unfortunately, we can all agree that in this day and age, racism still exists and if we were to learn anything from Trump’s election, it exists in large amounts. What we often times don’t agree on, however, is what constitutes as racism. Consequently, it’s not a surprise when some forms of racism goes under heavy scrutiny while others simply get ignored or worse, brushed off as a joke. For many Asians living in the west, that is what typically occurs. Yet, worse still, is when even other Asians trivialize the racism against Asians or use it as a way to entertain others. More often than not, however, it becomes a gender-divisive issue where many of the women in our community happen to be the ones to do so against our male counterparts. 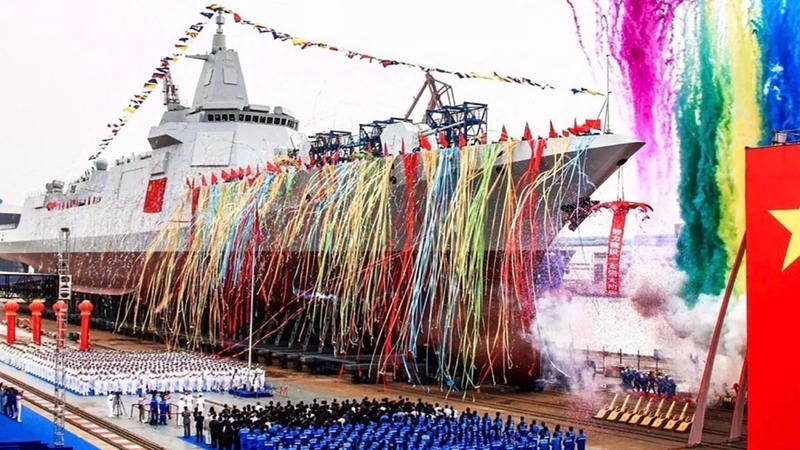 This 10,000 ton class warship weighs in around 14,000 tons and surpasses the US Navy’s Arleigh-Burke destroyers in at least weight, sensors, and firepower. 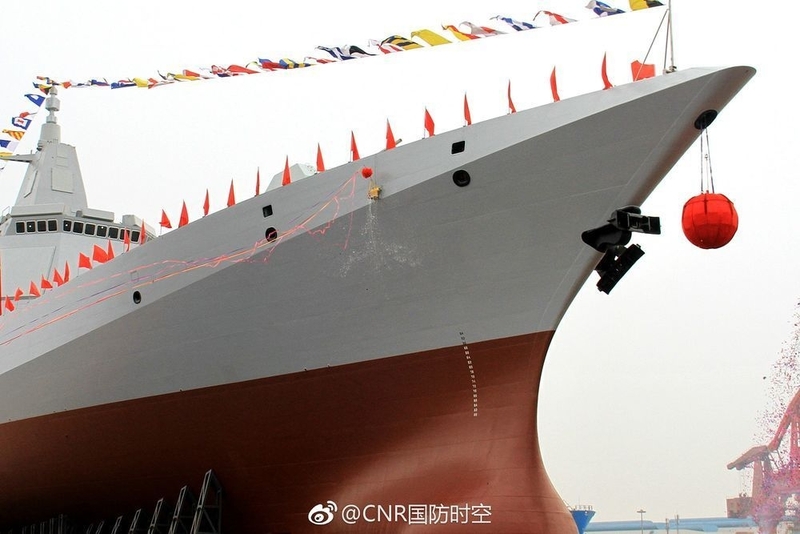 This makes it one of the world’s most powerful destroyers. ● CIWS [close-in weapon system] for short range defense. Only pictures can communicate its scale. Three more are currently being built.